Usher in Fall by Wearing Every Cold-Weather Print at OnceTiffany Hsu and her Sacai look are today’s Golden Peacock Award winners. Here’s How to Get Over Your Fear of Leopard PrintChoose accessories that are exceedingly practical. Here’s a Clever Way to Wear Stuff You Already OwnTake that summer maxi dress and give it new life. This Delightful Outfit Is the Craziest Look of Fashion MonthPush the limits of personal style and you will be rewarded. This Is the Perfect Look for the First Day of FallIdeal for anything from fashion shows to crackling fires. Can’t Decide Which Jacket to Wear? Tie Two TogetherToday’s Golden Peacock Award goes to an innovator at Milan Fashion Week. Embrace Sequins for Day With a Bright, White BootToday’s Golden Peacock Award goes to Kate Foley. How to Be Waterproof and Stylish at London Fashion WeekStylish fanny pack? Check. Houndstooth raincoat? Check. 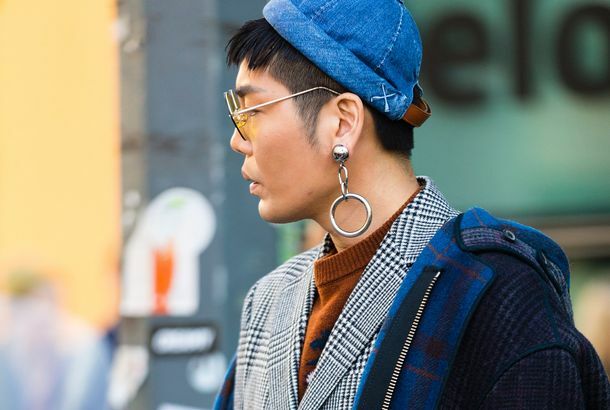 This Street-Style Star Coordinated Her Outfit With the SceneryTina Leung modeled a Molly Goddard dress alongside London’s Men at Work. How to Wear a Corset Without Looking Like a Pirate WenchKim Jones makes waist-definers look sophisticated. All You Need to Stand Out Is a Beautiful Red DressPlus some practical flats. This Photo Is a Lesson In Wearing Clashing Colors SuccessfullyPatricia Manfield isn’t afraid to mix aqua, red, and animal print. Sometimes It’s Cool to Show a Little Effort for the CamerasRapper Tommy Genesis shows us how its done. How to Make a Sundress Look Good in SeptemberTechnically, it’s still summer. Bravo to the Brave Soul Who Wore Rihanna’s Gucci HoodThis is one bold street-style look. 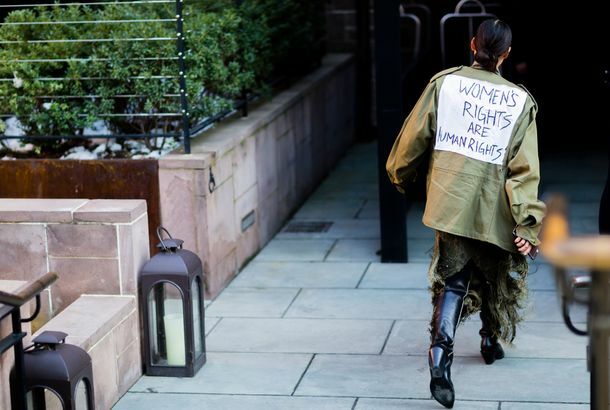 This Was the Best Look at Fashion Week YesterdayYou can’t be too subtle if you want to win the street style wars. 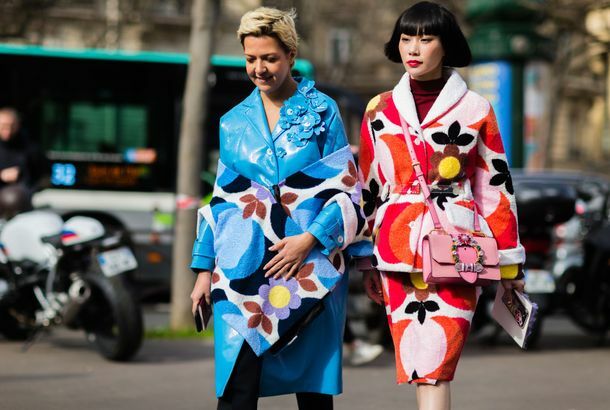 Coordinating Miu Miu Looks Are a Cheerful End to Paris Fashion WeekThe final Golden Peacock Award of the season. 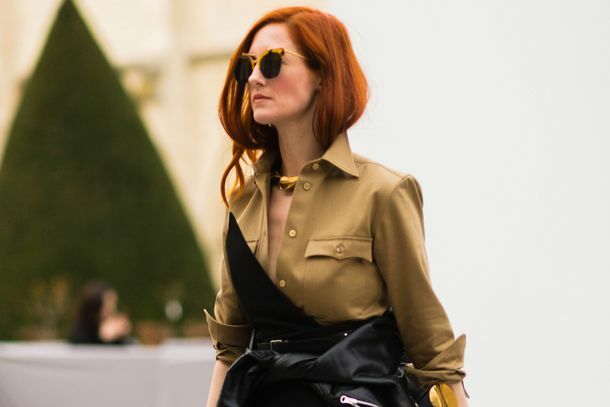 This Is the Most Immaculate Rainy-Day OutfitEce Sukan shows us how to dress for inclement weather. No One Styles a Button-Down Like Taylor Tomasi HillLook at those Azzedine Alïa heels! 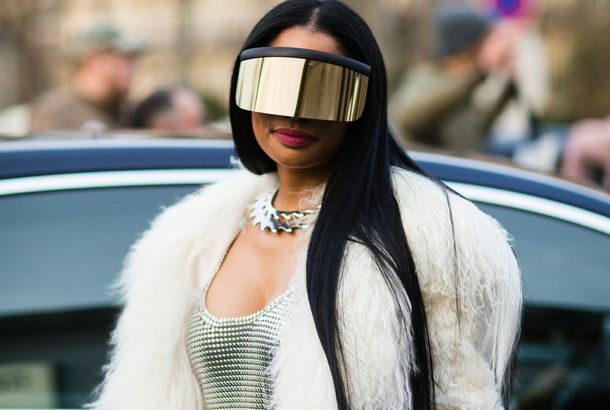 Nicki Minaj Makes a Better Daft Punk Than Daft PunkShe made a grand entrance to the Rick Owens show. Why Not Wear All the Colors of the Rainbow at Once?The first Golden Peacock of Paris Fashion Week. The Case for Wearing Denim on Your HeadToday’s Golden Peacock Award winner. Contrast Leather Pants With a Lilac Fur CoatThis weekend’s Golden Peacock Award winner. Wear Paisley Like This for SpringThe Golden Peacock Award winner from day two of Milan Fashion Week. 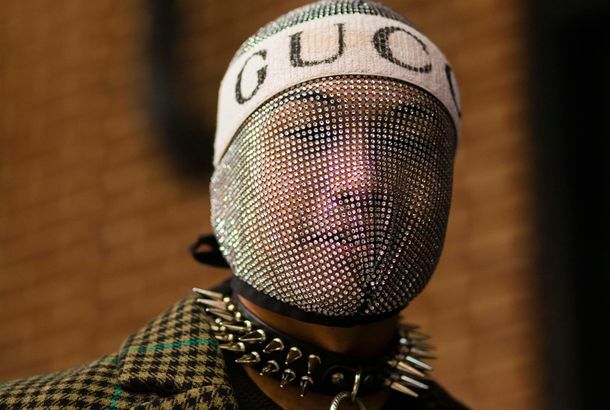 The Only Choice for the First Day of Milan Fashion Week Is a Gucci OutfitThe brand truly makes the street-style bait. Wearing Balenciaga’s Silver Stiletto Boots Is a Surefire Street-Style WinnerToday’s Golden Peacock Award winner. Nothing Catches the Eye Better Than Bedazzled Marc JacobsOur Golden Peacock winner for the last day of New York Fashion Week. An All-Black Look That’s Anything But BoringDay five’s Golden Peacock Award winner. When Statement Dressing Meets PoliticsRachael Wang is today’s Golden Peacock Award winner. Yellow Sunglasses Aren’t the Most Practical Eyewear, But They Look GoodThe Golden Peacock Award winner for day five of NYFW. Brighten a Gray Day With a Furry Yellow Fendi BagDay four’s Golden Peacock Award winner. Cheer Everyone Up by Becoming a Walking RainbowDay Three’s Golden Peacock Award winner. Dressing Like a Gucci Model Is Bound to Get You NoticedToday’s Golden Peacock Award winner. 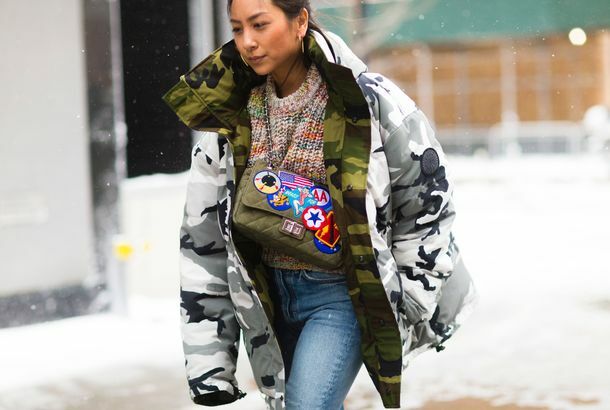 A Giant Printed Down Puffer Is the Best Street-Style BaitThe Golden Peacock Award is back. See the Best Street Style From Haute CoutureSummer whites, Vetements, and plenty of Chanel. 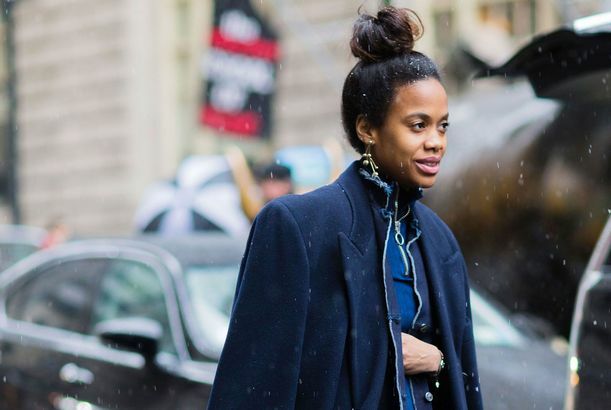 Fashion Month’s Top 5 Street-Style StarsAssessing the damage now that the dust has settled. 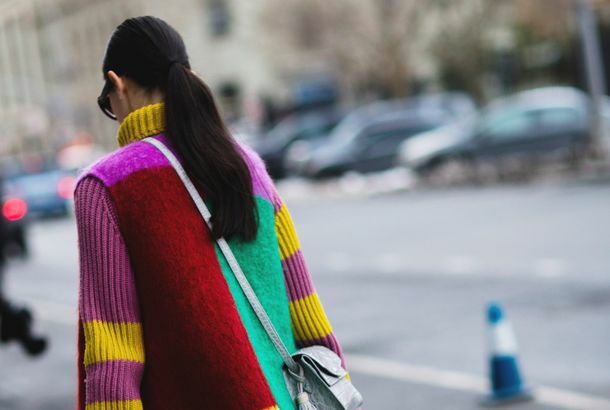 Who Was the Best-Dressed at Milan Fashion Week?All the best street style from MFW. 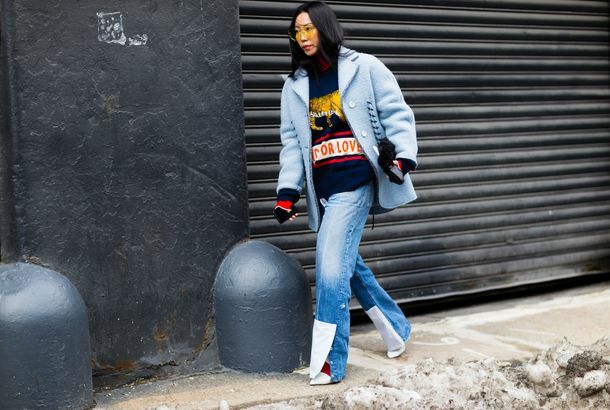 London Fashion Week’s Best Street StyleCoat inspiration for days. 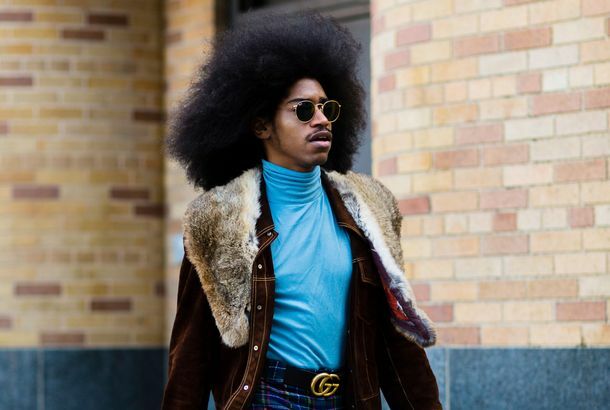 See All the Best Street Style From New York Fashion Week All of the week’s Golden Peacocks, plus the rest of the very worthy contenders. 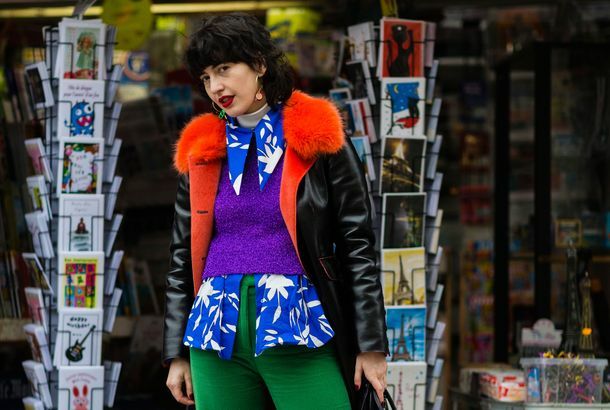 Handicapping the Best Street Style of the SeasonPlace your bets now.